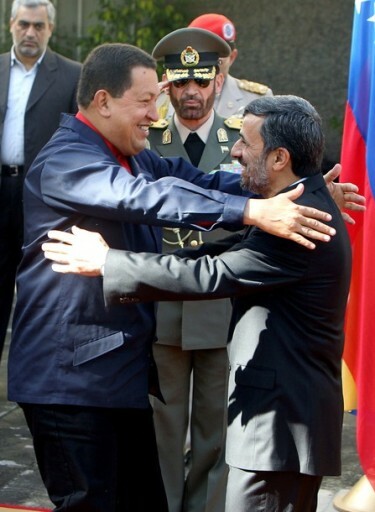 October 16, 2010 (KATAKAMI / DDINEWS.GOV.IN) — Venezuelan President Hugo Chavez reached a deal with Russia on Friday to build the South American country’s first nuclear plant, as questions arose why a nation rich in oil and gas would feel the need to venture into atomic energy. The two nations also signed other energy agreements. Russia has cultivated close ties with Chavez’s government to expand its global clout and counter US influence in Latin America. Russia plans to build two 1,200 megawatt nuclear reactors at the Venezuelan plant. The cost of Friday’s nuclear deal wasn’t immediately announced. The deal is likely to raise concern in President Barack Obama’s administration but continues a pattern of Russia pressing to export its nuclear expertise. It’s talking with Indian officials about building a dozen of nuclear reactors there and also wants to build a nuclear reactor in the Czech Republic. Russia has just completed Iran’s first nuclear power plant and recently reached new deals to build nuclear reactors in China and Turkey. 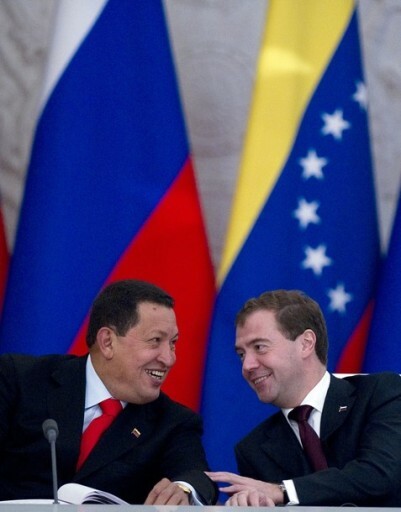 Russian President Dmitry Medvedev sought to pre-empt questions about why Venezuela would need nuclear power by saying the deal would help Caracas reduce its dependence on global market fluctuations. “I don’t know who will shudder at this,” Medvedev said at a news conference after the signing. Venezuela relies on hydroelectric power for most of its electricity, and a severe drought last year and in early 2010 pushed the water level at country’s largest hydroelectric dam to perilous lows. The lower levels, combined with a lack of adequate upgrades to the power grid, prompted rationing measures for a time, including rolling blackouts. 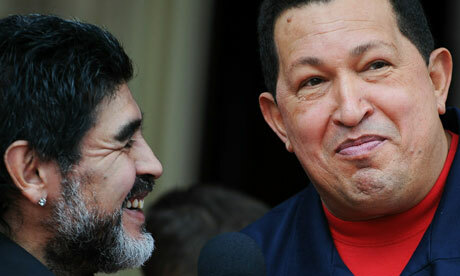 Chavez says nuclear power is part of his government’s plans for diversifying its energy sources. 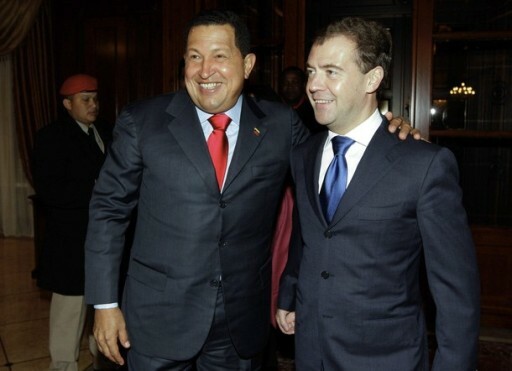 MOSCOW, October 15 (KATAKAMI / Itar-Tass) — Russian President Dmitry Medvedev is holding talks with his Venezuelan counterpart Hugo Chavez in the Kremlin. 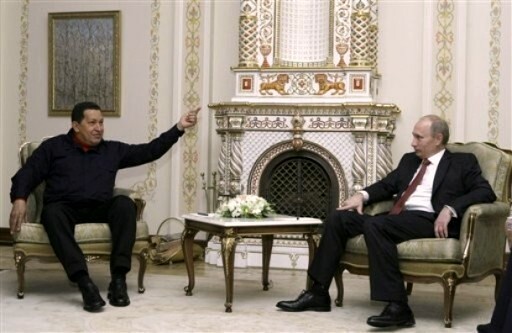 Hugo Chavez arrived in Moscow for a visit on Thursday. At present, the talks are being held in the narrow format behind closed doors. As is expected, the Moscow meetings will yield a plan of action which will be the basis for cooperation up to 2014. The document lists specific cooperation guidelines in such spheres as foreign policy, financial sector, oil and gas industry, military-technical cooperation, nuclear power engineering, telecommunications, agriculture, fishing, transportation, education, health care, tourism, sport, culture, and elimination of natural calamities aftermath. MOSCOW, October 14 (KATAKAMI / Itar-Tass) – Venezuelan President Hugo Chavez is arriving in Moscow on Thursday in order to discuss with the Russian leadership plans of bilateral interaction up to 2014 that embrace such spheres as military-technical cooperation, creation of joint industrial facilities, financial institutions and housing construction. Over his two-day stay in Moscow he is to hold talks with Russian President Dmitry Medvedev and Prime Minister Vladimir Putin, meet the Moscow leadership, as well as speak at the conference “Two Centuries of Independence of Latin America” that is opening at the Foreign Literature Library on Thursday. The main result of the visit is expected to be the signing of the Action Plan that, according to the idea of the two countries’ Foreign Ministries, will lay foundations for the development of cooperation for a period up to 2014. The document specifies interaction in such spheres as he foreign policy, financial sector, oil and gas industry, military-technical cooperation, nuclear power industry, telecommunications, agriculture, fisheries, transport, education, health, tourism, sports, culture, liquidation of natural calamities’ aftermath. Observers say that the fulfilment of the Action Plan tasks will ensure the bilateral trade growth the lion’s share of which is military-technical cooperation. Venezuela is already the region’s unquestionable leader in the volumes of contracts concluded with Rosoboronexport Russia’s arms exporting company. The sum of contractual obligations exceeds 4 billion US dollars. So, this Latin American country is completing the construction of three military plants – for manufacturing of the AK (Kalashnikov) assault rifles, for the production of cartridges and an aircraft repair plant for servicing Russian helicopter equipment. The supplies of the Tor-M1 air defence missile systems have begun. Besides, Venezuela intends to buy 10 Ilyushin Il-76MD-90 planes and two Il-78MK refuelling aircraft. Caracas has also confirmed plans for the purchase of up to 10 attack helicopters Mi-28NE in addition to the earlier bought 10 Mi-35M helicopters. In the view of the Rosoboronexport leadership, the country may also become the first export customer for the Sukhoi Su-35 fighters. Russia also intends to supply to Venezuela a batch of the T-90S tanks. Caracas assesses its need for this class of military equipment at 600 units. As a result, according to RF Prime Minister Vladimir Putin, the volume of Russian military equipment exports to Venezuela may reach in the near future 5 billion US dollars. Aside from military-technical cooperation, the two countries have also been developing active civilian cooperation. During a visit of the Russian prime minister to Caracas this April, the Sovcomflot company and the Venezuelan PDV Marina specialising in sea transportation, signed an agreement on intent. Ilyushin Finance and Aeroflot concluded memorandums of understanding with the Venezuelan side. They signed several documents within the framework of the implementation of a project for the joint prospecting and oil production in the basin of the Orinoco River – the Junin-6 field. Besides, Moscow transferred to Caracas 4 transport helicopters Mi-26 thus fulfilling a long-term contract on the supply of 28 such helicopters. Russia also holds negotiations on the sale of another 50 civilian planes to Venezuela – An-148 and Be-200. The two sides’ agenda also includes cooperation in the atomic power sphere, Hugo Chavez, in particular, drew attention to the fact that Caracas can build a nuclear power plant in the country with Moscow’s support. Within the current visit’s framework the Venezuelan leader will also sign the final document on the establishment of a Russian-Venezuelan bank the work on which has been in progress since June 2009. The sides will also create a joint structure with the authorised capital of up to 4 billion US dollars on the basis of Evrofinance-Mosnarbank. It is planned that the Russian side – VTB Bank and Gazprombank will get a 51-percent stake in it. The shareholders from Venezuela will be the State Treasury Bank and the Venezuelan Petroleum Corporation. Experts particularly noted that the bank will make it possible to give financing to joint programmes in a mutually beneficial basis. Another important issue Chavez plans to touch upon in Moscow is Russia’ s assistance to the construction of social housing for the poorest groups of the population of his country. A delegation of the Moscow government led by former mayor Yuri Luzhkov this May already held talks in Caracas on RF assistance in the working out of the general plan for the development of the Venezuelan capital. They discussed not only construction of dwelling houses, but also the programme of building schools, kindergartens, hospitals, cinema houses, roads, bridges and utilities. In connection with the personnel changes in the Moscow government it remains unknown so far if this project will be viable. The visit of the Venezuelan president to Russia – the ninth since 2001 – will last until October 15. 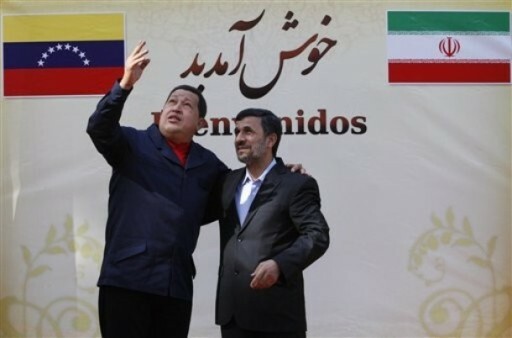 Then Hugo Chavez will continue his 12-day foreign tour during which he will visit Belarus, Ukraine, Iran, Syria and Portugal. (KATAKAMI / Reuters) – Venezuelan President Hugo Chavez said on Friday that oil prices were stabilizing, giving his South American OPEC member nation’s crude an average barrel price of nearly $70 this year. “The price of oil recovered and it’s more or less stabilized,” he said in comments carried live on TV. “We had thought it could collapse again this year, there was a threat it might fall to $40. But no, thanks among other things to OPEC and the oil production cut, it’s nearly $70, the Venezuelan oil,” he said. Venezuela’s crude has averaged $69.60 so far this year, according to the Energy Ministry. Venezuelan crudes, which are mostly heavy and high in sulfur, trade at a discount to benchmark grades such as West Texas Intermediate because of their low quality. U.S. oil prices rose a third straight day on Friday, with crude for October delivery at $75.17 a barrel. 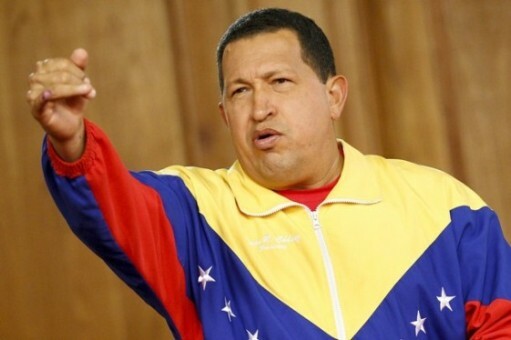 Chavez reiterated that Venezuela was producing about 3 million barrels a day, but said there should be a “leap” in production thanks to new projects in the Orinoco belt towards the end of 2011. (KATAKAMI / Guardian.Co.UK) Hugo Chávez severed diplomatic ties with Colombia yesterday after it accused Venezuela of harbouring leftist guerrillas in dozens of camps along the border. Venezuela’s president ordered a “maximum alert” on the border and warned that his Andean neighbour could provoke war. “We have no other choice but, out of dignity, to totally break our relations with our brother nation of Colombia,” Chávez told state television. Colombia had claimed that Venezuela was sheltering 1,500 rebels from the Revolutionary Armed Forces of Colombia (Farc) and the smaller National Liberation Army (ELN), which have waged a decades-long conflict with the Colombian state. Colombia presented maps, photographs, videos and witness testimony in a presentation at a meeting in Washington of the Organisation of American States, a pan-regional body. Its ambassador to the OAS, Luis Alfonso Hoyos, accused Chávez’s administration of tolerating terrorists who murdered, kidnapped and trafficked drugs. “The continent cannot allow this nightmare to spread,” said Hoyos, who also accused Venezuela’s national guard of shielding the rebels from scrutiny. He asked Venezuela to allow an international commission and journalists to inspect 87 sites where guerrillas allegedly sheltered. “They eat fried pork and get fat in order to rest before launching attacks in Colombia,” he said. Venezuela’s ambassador to the OAS, Roy Chaderton, rejected the claims. “There is no evidence, no proof. These are photos taken I don’t know where,” he said. He did not respond to the inspection request. Claims about infiltration along the 1,400-mile border, a porous, mountainous zone rife with smugglers and criminal gangs, have long poisoned relations between the two countries. Chávez, a self-styled socialist revolutionary, has in the past expressed admiration for the Farc as a legitimate force but denied funnelling weapons or money. He called the outgoing Colombian president, Alvaro Uribe, “crazed” and said the US wanted him to attack Venezuela. He announced the severing of ties in a live address in which he was flanked by Diego Maradona. The Argentina football coach, a friend who regularly visits the president, looked on but did not comment. 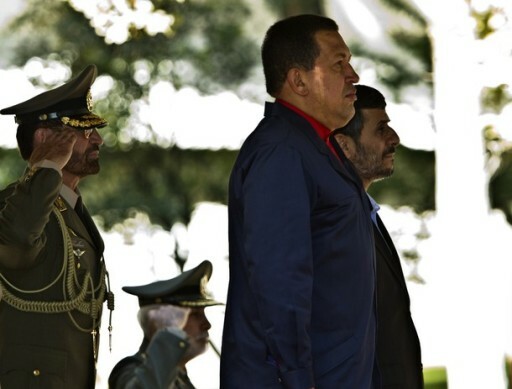 Chávez recalled his ambassador from Bogotá last week in anticipation of today’s denunciation. Colombia then recalled its ambassador from Caracas. Relations may improve when Juan Manuel Santos succeeds Uribe next month. The president-elect has spoken of reconciliation, an olive branch that Chávez signalled he may accept. Some analysts said the OAS gambit was Uribe’s attempt to give a farewell kick to his Venezuelan foe. Relations between the two leaders have been toxic since Colombia bombed a Farc camp in Ecuador in 2008 and allowed US troops more access to its military bases. Venezuela’s President Hugo Chavez (R) speaks as Syria’s President Bashar al-Assad listens during a ceremony where the two countries signed an economic agreement at Miraflores Palace in Caracas June 26, 2010. Assad is on a rare visit to Latin America aimed at extending Syria’s diplomatic reach after emerging from Western isolation, and attracting investment for his country’s ageing infrastructure.